Louis Lebel's family wishes to announce his passing at his home, March 6, 2018 at the age of 84. Louis is survived by his sister, Cecile Thompson of Ochre River, sister-in-law, Lucille Lebel of Ochre River, nieces, nephews and cousins. Louis was predeceased by his parents Noel and Alice, sisters, Lucy and Ann, his brothers Robert and Oliver. Louis was born December 28, 1933 at the Dauphin General Hospital. He attended the Ochre River Elementary School for a brief time. Louis' love for horses, fishing and hard physical labor was apparent early in his lifetime. 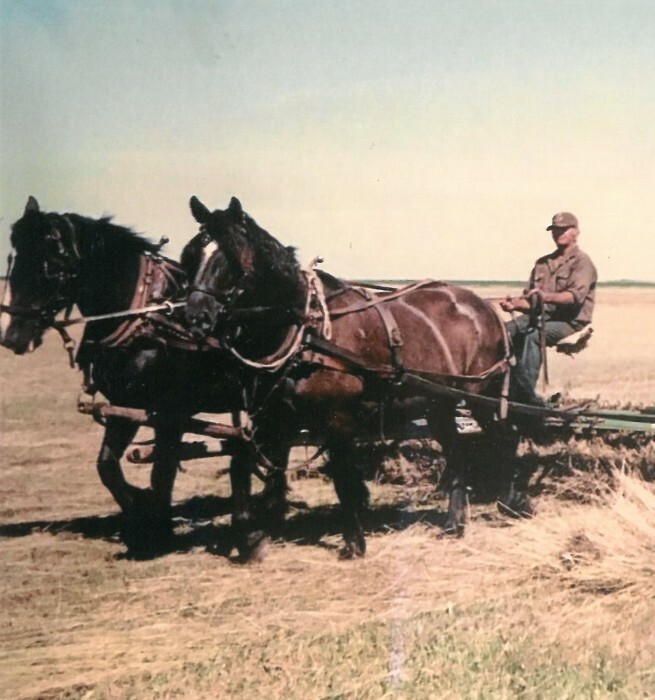 He was about 22 years old when he found a homestead on the north east side of Lake Dauphin, and started his farming operation. This including cattle, fishing in the winter and cutting and making of wooden products. Louis was a master at producing sleighs for fishing, hauling trees and other materials around the farm. Louis was an experienced horseman that enjoyed working with the animals. He also outfitted the teams with harnesses and other tac he produced by hand. Although Louis lacked in formal education he made up for that by cultivating a vast network of friends and acquaintances over the years. Those befriended usually had a connection to cattle, horses, fishing and hunting. Many conversations took place around the old kitchen table in a dimly lighted room. In 2011, Louis received the Long Service Fisher Award of 64 years by Manitoba Commercial Inland Fishers Federation. Louis was not one to remain idle so with the help of Bob Jacobs, they ventured into logging. These logs were transported to different saw mills but eventually they purchased their own. Much lumber was produced and put to good use in the building of barns, sheds and whatever was needed. Any surplus was sold to cover expenses. Louis did enjoy reading the Outdoor Magazine, Co-operator and the Dauphin Herald. His battery operated radio kept him up to date with markets and local news, and what was happening around the world. When Louis' mobility became a problem and not wanting to leave his home, his dedicated neighbors stepped in and took over the chores of the farm, which also included an abundance of firewood. In June 2017, Home Care was established which contributed to his well being. He very much enjoyed their coming. Memorial Service was held on Saturday, April 21, 2018 at 11:00 am from Sneath-Strilchuk Ste. Rose Chapel in Ste. Rose du Lac, MB with Ryan Raffray officiating.